Thank you for submitting your item for appraisal. This appears to be a lucite / acrylic sculpture by Michael Wilkinson, produced in an edition of 600 in 2002-2003. Michael Wilkinson sculptures sell at auction on a regular basis, but this particular sculpture with the title "the Vow" has not been sold recently. Apparently his collectors are not willing to part from it yet. 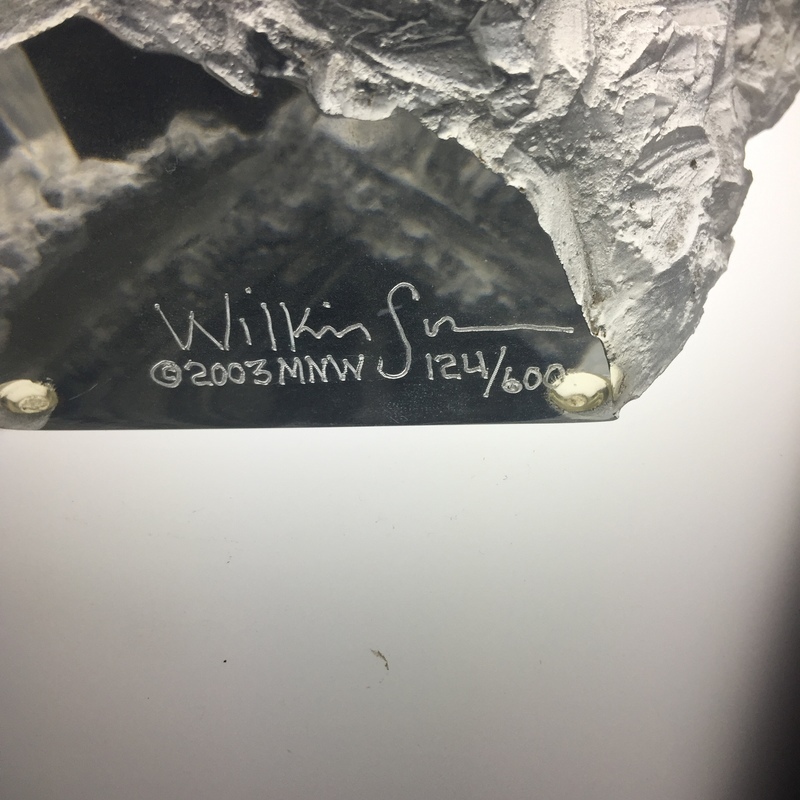 The estimate is based on similar Michael Wilkinson sculptures offered or sold at auction. "Asking prices" in the trade can be higher and vary. There is no measurement for the sentimental value you might attach to it.